Eric has been the subject of several feature articles in the press and always welcomes the opportunity to discuss his work and his Weltanshauung with any credible journalist who is inclined to listen. 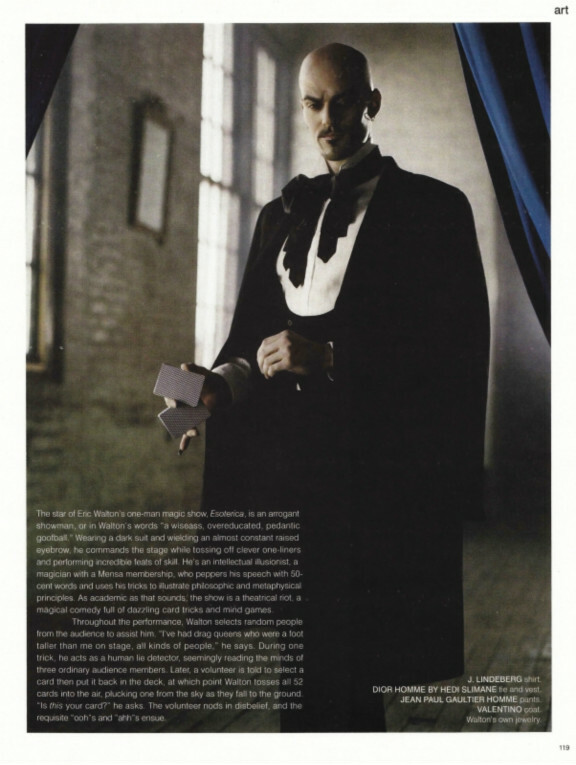 On August 11th, 2008, the Times of London published "The New Generation of Mentalist Magicians" and included Eric in that august body. You may view this excellent article by Dominick Maxwell here. 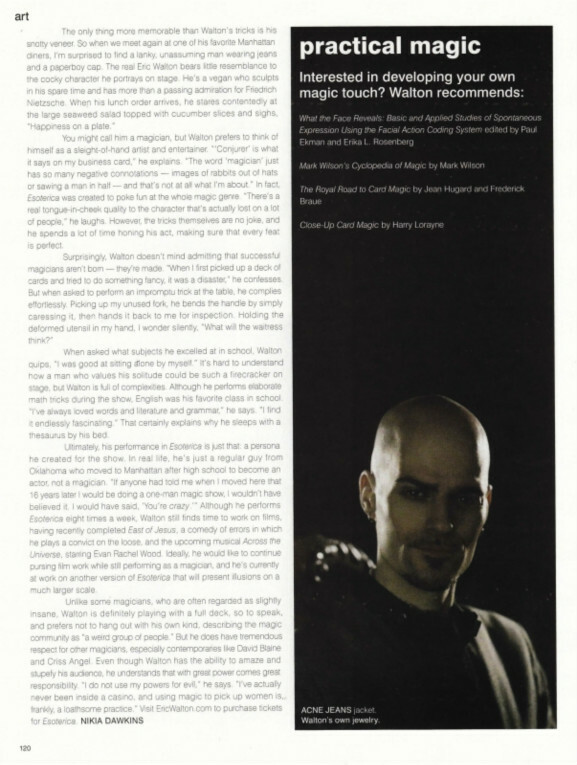 On August 5th, 2008, The List published "New Tricks--Magic on the Fringe", for which Eric and the superb magician Guy Hollingworth were both interviewed. 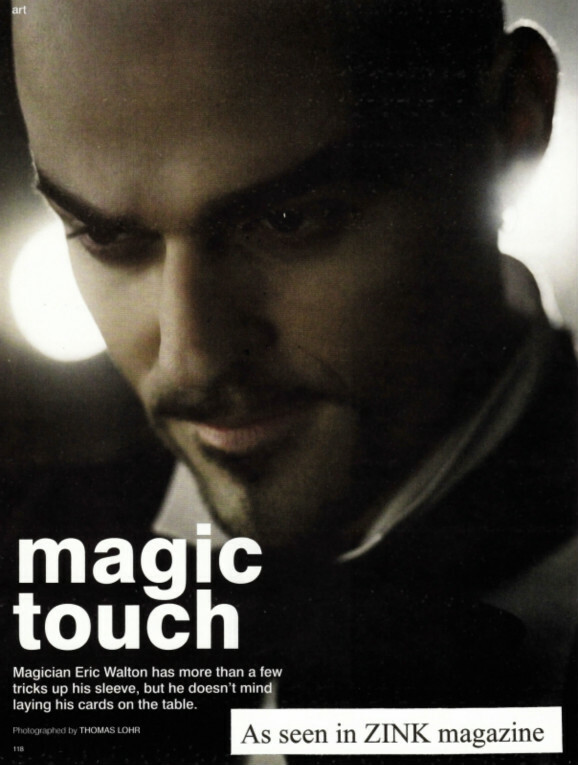 On September 8th, 2006, The New York Daily News published "Hocus Pocus with a Different Focus", which is about the Off-Braodway run of Eric's (mostly) one-man show Esoterica. 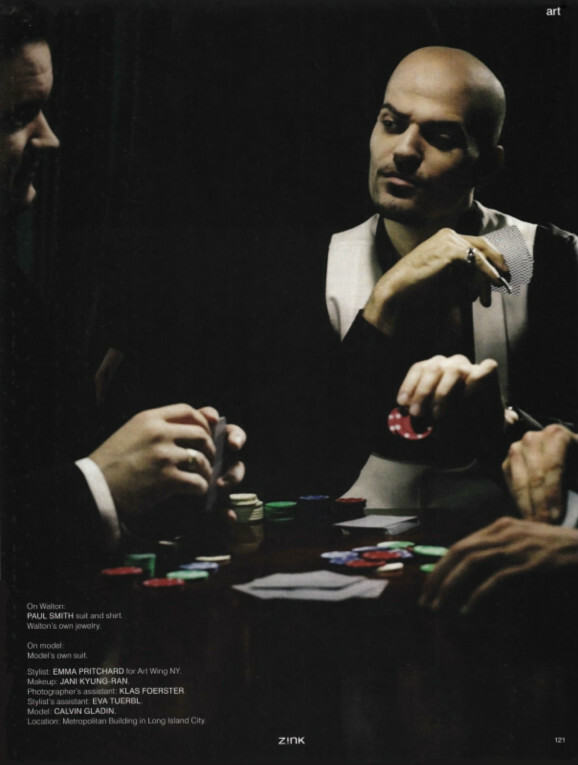 The article posted below graced the pages of ZINK magazine in December, 2006.